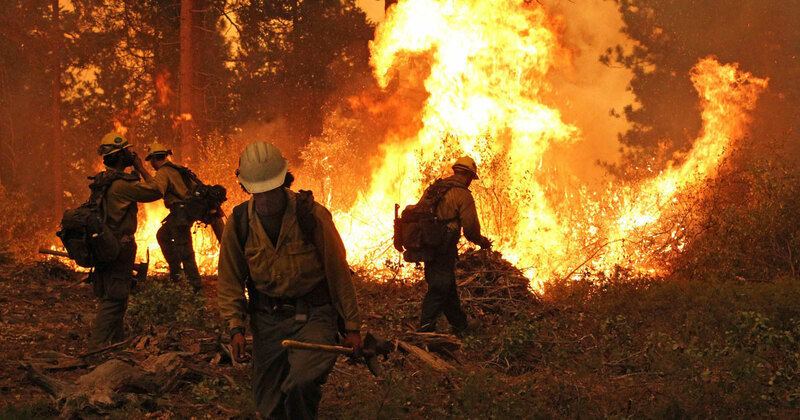 European officials are moving to close a loophole that promotes the burning of wood for electricity by an industry that’s felling American trees, and a new report they commissioned has laid bare the urgent need for reform. European Union climate rules treat woody biomass energy as if it’s as clean as solar or wind energy, despite it releasing more heat-trapping carbon dioxide for every megawatt of electricity produced than coal. Producing wood pellets for fuel can also foster climate-changing deforestation. A stack of tree trunks at a mill in Virginia that will be turned into wood pellets and shipped to Europe. 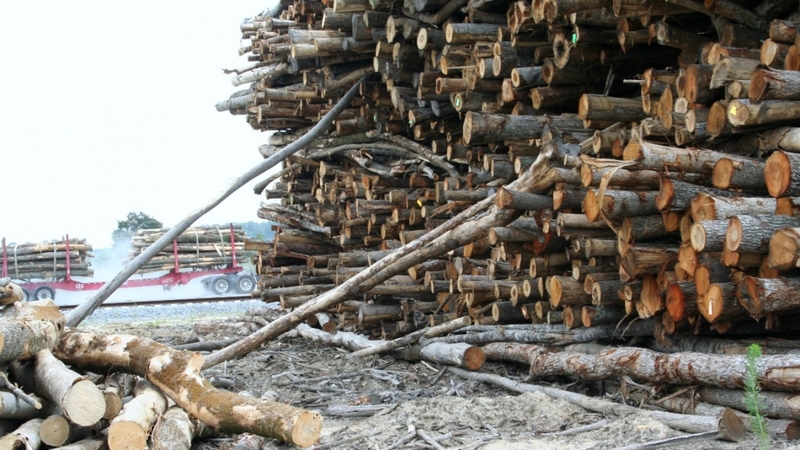 The European Commission, which advises European Union lawmakers, last week identified myriad environmental hazards from the transatlantic wood energy trade in a 361-page report. The loophole in Europe’s climate policies is a veritable accounting error that has led to national energy subsidies that are financing a burgeoning industry. 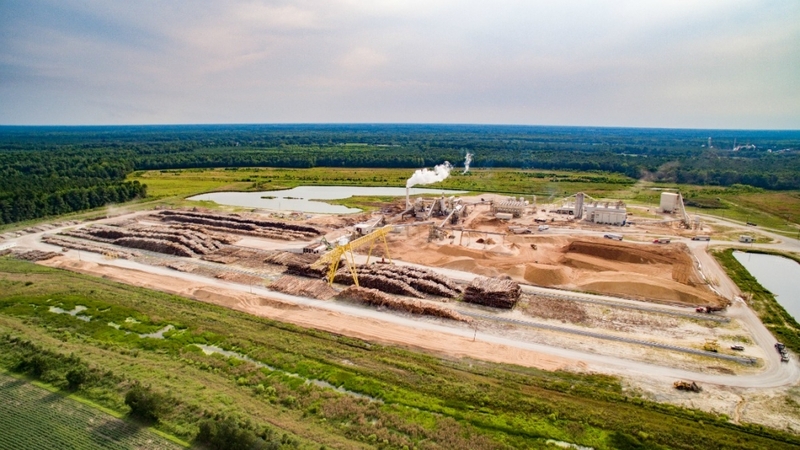 The subsidies are paying for wood pellet fuel to be produced at newly built mills in the American South, where trees are plentiful and forest protections are minimal. Without reducing climate pollution, the industry is helping European countries meet European Union rules on carbon emissions, if only on paper. 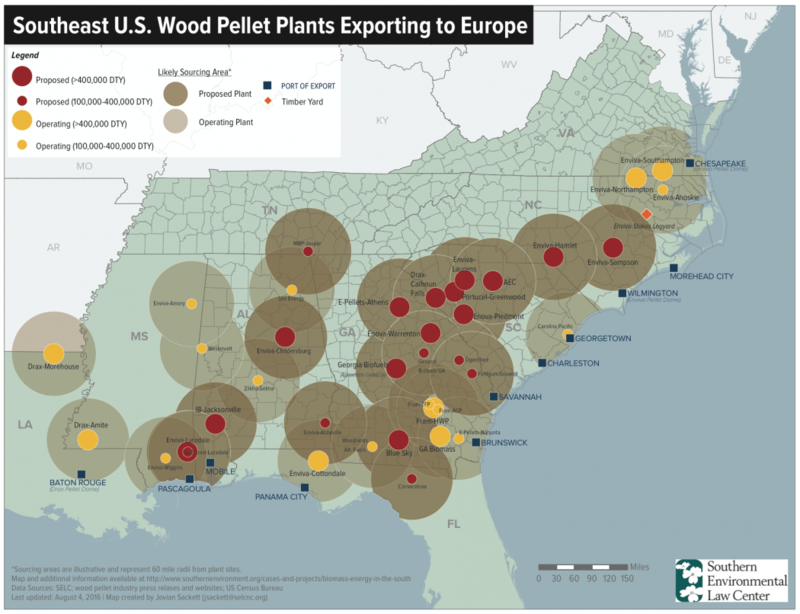 Dozens of Southern mills produced an estimated 5 million tons of wood pellets that were exported to Europe last year, with production growing by a third on average each year since 2012. Producing each ton of dried wood pellets requires roughly twice that amount of freshly cut wood. Credit: Southern Environmental Law Center. The report was commissioned to help guide a European Union effort to update climate and energy policies after 2020, when a new global treaty on climate is expected to take effect. Under the Paris Agreement, which is a climate pact that was finalized during U.N. negotiations in France in December, the European Union pledged to reduce its climate pollution by 40 percent in 2030, compared with 1990 levels. While the findings were characterized as “exploratory” in the new report, due in part “to the short time period over which the wood pellet industry has emerged in the U.S,” the researchers identified a number of “policy risks” from the transatlantic wood energy trade. Those included “biodiversity loss, deforestation and forest degradation” in the U.S., and “not meeting” reductions in greenhouse gas pollution at power plants in Europe. Environmental groups who have been rallying to protect America’s forests and the climate from industrial wood energy use in Europe lauded the report as an important step forward. Adam Macon, a campaigner with the North Carolina-based nonprofit Dogwood Alliance, which works to protect Southern forests, called the report the “clearest acknowledgement” yet from European officials about the environmental impacts of their growing reliance on wood energy. Drax Power Station in northern England is the biggest customer for America's industrial wood pellet producers. The U.S. Industrial Pellet Association, which represents America’s wood pellet producers, by contrast, denounced the report’s proposals, such as limiting wood energy use and capping wood pellet imports. In a statement, the wood pellet producers characterized the “underlying conclusion” of the report as being “that the wood pellet industry has not adversely impacted” America’s forests. Improving Europe’s rules affecting bioenergy, including biofuels for vehicles and biomass fuel for power plants, is a major focus of the planned overhaul of Europe’s climate policies. Such improvements threaten to sink America’s new industrial pellet industry, which exists only because of the perceived environmental benefits of its products. Aside from industry reports and a letter from U.S. Agriculture Department secretary Tom Vilsack promoting American wood pellet exports, the main scientific evidence the wood pellet producers pointed to in an email in support of their claims of greenhouse gas savings came from research published in the journal Environmental Research Letters in November. A mill in Virginia producing industrial wood pellets for export to Europe, where they are burned to produce electricity. That research, however, did not measure smokestack pollution when wood pellets are burned. 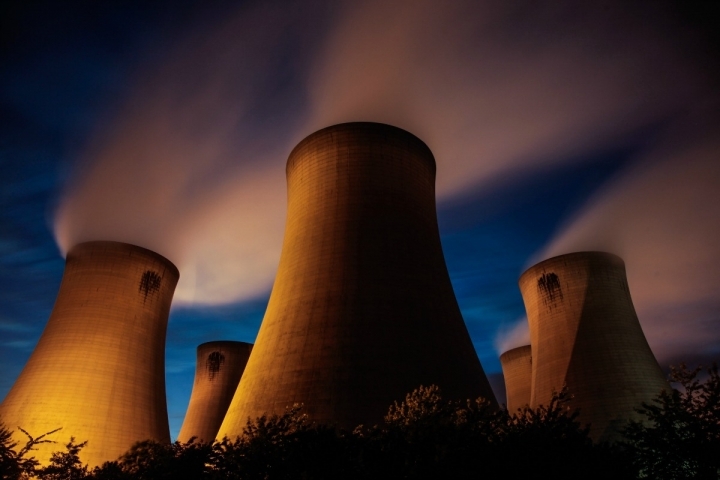 (Climate Central last year found that carbon dioxide pollution by a major British power plant increased 15 to 20 percent as it converted from coal to wood.) 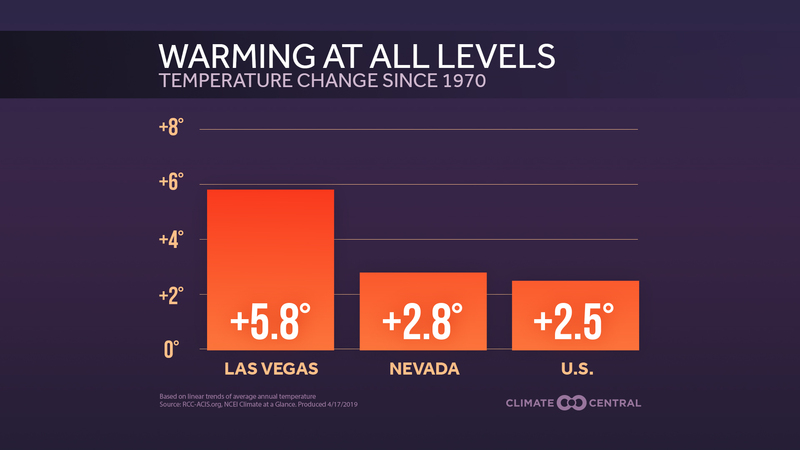 Instead, the researchers measured the climate pollution released “in the process of producing the wood and pellets,” said the paper’s lead author, University of Illinois professor Madhu Khanna. 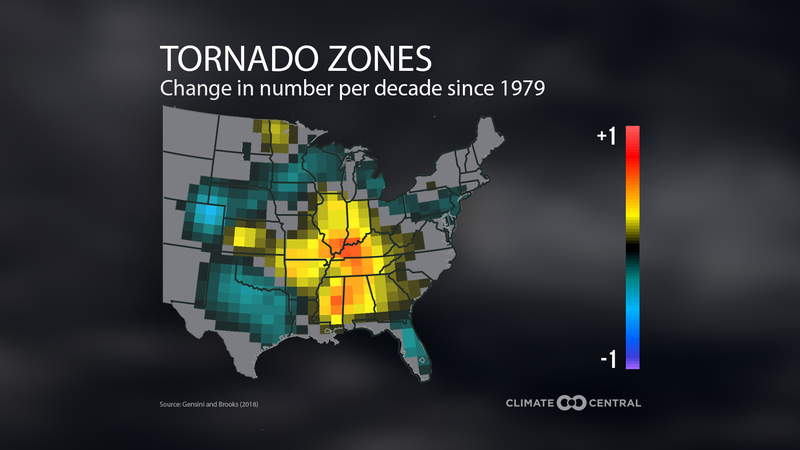 The report didn’t just focus on climate impacts. It also warned of impacts on biodiversity, forest regrowth and soil nutrients as natural forests are cut down to produce wood pellets, and as natural forests are replaced with pine plantations to help meet growing demand.